Live in the highly desired AXIS high rise in the heart of downtown San Jose. Take in the mesmerizing views over San Jose airport and beyond with a glass of red in the evening, or step outside onto the balcony for some fresh air. This unit has so many features for anyone looking to enjoy a luxury lifestyle with the perks of downtown living. With hardwood flooring throughout, a custom pantry, custom closets in the second bedroom, ELFA storage system in the master bedroom as well as a frameless shower in the master bathroom, controlled blinds, and LG washer and dryer, this unit has everything you can ask for. Live in luxury with 24-hour concierge service, workout in the fitness center, entertain family and friends in the clubhouse, lounge by the pool and outdoor fireplace, or relax in the jacuzzi. 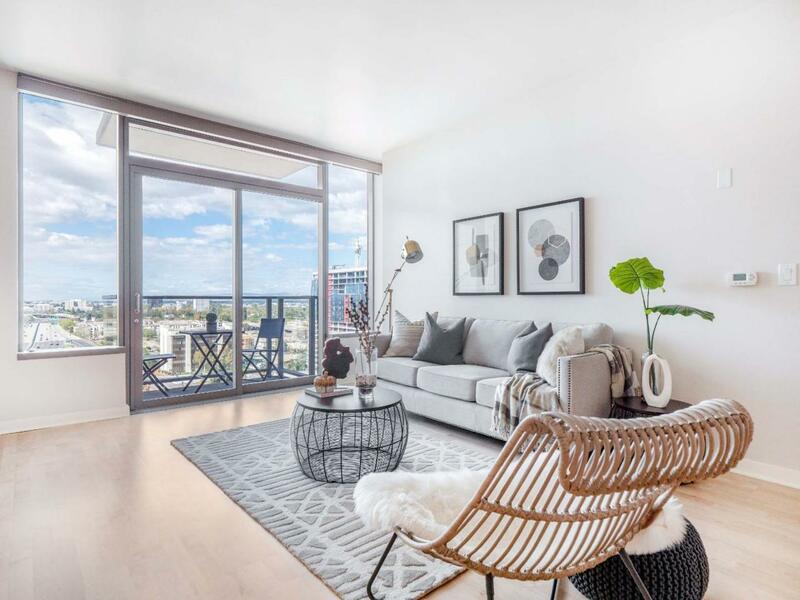 Located in the heart of downtown San Jose, and within walking distance to San Pedro Square, SAP center, farmers market, proposed Google Village, light rail and Diridon station. Listing courtesy of Michael Bui of Equity One Real Estate.